Why should you consider a water softener in San Antonio? Here are 8 great reasons! Water softeners are a great addition to any home for many reasons. They are particularly useful in San Antonio, where water hardness is quite high. Hard water contains high traces of calcium and magnesium ions, which can create limescale and have a damaging effect to the internal heating and plumbing systems of your home, as well as limiting the effectiveness of soaps and cleaning products. By comparison, soft water doesn’t contain these elements, and as a result, households with water softeners installed are capable of saving a considerable sum of money throughout the year for a variety of reasons. Creating our brand new consumer’s guide to softened water, we have thought long and hard about the benefits that softened water can provide to your home. Hard water contains magnesium and calcium ions that make it very difficult to create an effective lather with soap and other cleaning products, which affects the whole cleaning process, whether you are having a shower, washing the car or doing the laundry and dishes. As soft water is treated to remove these impurities, it is far more effective when used for washing. 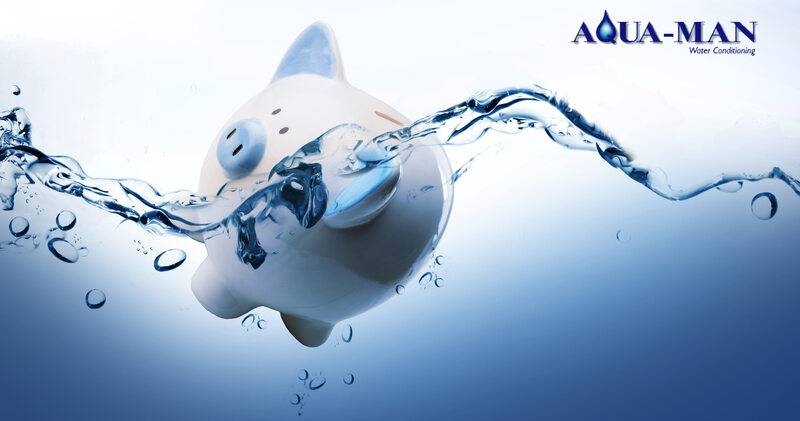 Water softener saves you money! For example, a recent test determined you could achieve the same level of soil removal in soft water by using lower water temperatures and a reduced amount of detergent than washing with hard water. You will require less cleaning agents to perform a good wash, saving you money month over month. Hard water can wreak havoc on your heating system thanks to scum and scale deposits that could lead to blockages and cause damage to your boiler. Scale essentially acts as an added layer of insulation, that prohibits the transfer of heat into the water. These deposits are known to drastically reduce the efficiency of your boiler – sometimes as much as 50%. Even a small deposit of 1.6mm could be enough to cause heat efficiency loss of up to 12%! Gradually, having soft water running through your system will dissolve away scale, remedying the problem completely. 3. It can help improve your skin and provide relief from skin conditions. Hard water can exacerbate eczema and other dry skin conditions due to the excessive amount of soap and cleaning products needed to create an effective lather for a thorough clean. Hard water also leads to the occurrence of soap scum – a result from the reaction between the soap and the minerals. Soap scum is another potential irritant both when it comes in direct contact with a skin condition or when small particles are left on clothing washed in hard water. Soft Water feels so much better on your skin, and IS better for your skin! Additionally, clothing washed in soft water often feels softer, which can lessen the abrasive feel of starchy clothing and therefore keep skin complaints at bay. A study by the University of Nottingham found that children living in hard water areas are almost 50% more likely to develop eczema than those that do not. 4. Laundry comes out brighter, glasses and dishes regain their shine. Usually, as a result of washing with hard water, clothes become dull and weathered, whites turn to gray and colors will fade. Similarly, dishes and glassware will also lose their sparkle. Conversely, soft water maintains the appearance of clothing and kitchen ware. It’s all thanks to soft water’s ability to mix effectively with soap and detergents to provide a greater clean. Also, as a result of using softened water, you will find the durability of your clothes and kitchen wares will also be greatly extended. 5. It’s better for cooking and making drinks. Hard water is usually preferred for drinking purposes. Its mineral content gives water the closest thing it has to taste! However, for making drinks, like tea or cocktails, soft water is usually considered superior. Soft water is a more effective solvent and this can be seen when used with soap but it also equally applies to cookery and mixed drinks. For instance, adding stock to soft water will greatly enhance the flavors and aromas. 6. Protect your appliances such as dishwashers and washing machines. As mentioned, hard water can cause blockages in your plumbing through the deposition of limescale. Soft water, by comparison, can provide a long-term remedy to these kinds of deposits. If a water softener is added retrospectively to a property, then gradually the softer water will dissolve limescale scale deposits and remove the problem entirely. 7. Enjoy showers and baths with silky smooth water. You will instantly feel the difference in water quality going from a hard water bath or shower to a soft water wash. It is often regarded as a luxurious experience. A great way to unwind at the end of the day relieving stress and loosening tight muscles. 8. Reduce streaking and spotting when you wash your car. For car enthusiasts, one of the worst offenses of hard water is the chalky residue it can leave on your car after washing. Damaging the paintwork of the vehicle and generally reducing the visual impact. As soft water does not carry any of the impurities, it is the solution to wash your car with. Don’t take our word for it though. The best way to experience soft water is to see it for yourself. We offer a range of ways to try out soft water for yourself, whether you want to book a free no obligation demo or even rent one of our water softeners, you will find that we are flexible to your needs.